In my childhood I was often sick. Even at 20 years old I was still very weak. No medicine could help me. My parents were very worried. We had a neighbor named Fu Ting Jia. He was very skillful in martial arts, so I asked him to teach me. As a result, my stubborn sickness was cured, and my desire to learn more was increased. 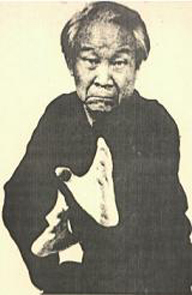 At that time, a very famous Tai Chi Chuan teacher by the name of Ahn Ding Bang was serving at a gymnasium in Peking. I packed up all my things and traveled there to learn from him. Master Ahn's skill was most excellent and he taught tirelessly. I practiced diligently day and night. Fortunately, I caught the vision! My strength became full, and I became a different person than I was before. Grandmaster Yin joined the Chinese Army as a young man and eventually advanced to the rank of general. He was shot three times in battle but continued leading his men. Grandmaster Yin's martial arts skills were recognized by Army leadership and soon he began training others. During the war with Japan, I followed Chairman Shen Hung Lieh, serving in the military. Mr. Shen always promoted Chinese martial arts, so they designated me as a martial arts instructor in the army. I loved to do this, because this was my passion. The soldiers benefitted greatly from martial arts during the war. When Communists took over mainland China, Grandmaster Yin moved to Taiwan, where he opened a kindergarten and his first kung fu school. In his spare time, Grandmaster Yin wrote a number of well-regarded books on martial arts. After the Communists occupied the mainland, I followed the government and moved to Taiwan, where I served in the field of education. Many young people who loved Chinese martial arts followed me to practice. So I had to be strong and continue my exercise. I received much advice from my mentor Chen Pan Ling, and also from the famous expert Wang Shu Chin. After teaching class, I used my time to do research in martial arts. Whether my research was in Shao Lin Kung Fu, Tai Chi or the use of gun, knife, sword or staff, as long as it is healthy and can be applied to defense, I wrote about it in my books. 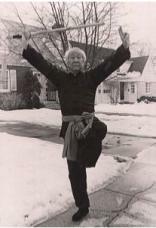 In 1974, Grandmaster Yin visited the United States to teach American students martial arts. He returned to Taiwan, but moved to the United States permanently in 1976, staying first in Salt Lake City, Utah, at the newly founded school of his student Cheng Tsang Lu. In late 1978, he moved to Milwaukee and shortly afterwards founded his own school. Grandmaster Yin ran his school in the traditional style of his homeland. He challenged students not only to excel physically, but also to treat themselves and others with honor. 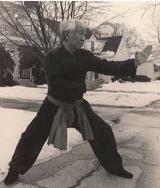 Grandmaster Yin remained fit and agile well into his 80s. He is remembered by his students with great affection and respect - not only for his martial arts prowess, but also for how he lived his life. Practice kung fu for three reasons. First, for health - body strong! Next, for art and enjoyment - beautiful! Last, for defense - can use! In all situations, be aware, be mindful and be indomitable. I wish for all my students to be good gentlemen and ladies. Good man, strong man, rich man - gentleman (and lady)! © Copyright by Chinese Kung Fu Center. All rights reserved.